I guess if I am being honest, I have had quite a few nursery dilemmas...but I think this is the only one so far that you, my readers, will be able to help me with. The others have mainly involved me being really indecisive as well as my husband hating everything I like, everything pink, and really every idea I have ever had in general. Why he has an opinion is beyond me. While we're at it, how do I convince him that I need a chandelier? :-) I went from being REALLY excited about the nursery, to stressed/not excited at all/kind of disappointed when I was told I couldn't paint it pink, and now back to excited again. Is it too much to ask to have a pretty space for our little girl?! I know, I know, I have a tendency to be overly dramatic, but whatever. If anyone wants to buy me aforementioned hutch, I will gladly accept donations. However, as it is not a necessity, we chose to forgo that option at this time. I asked them to add it to our registry in case anyone was feeling generous (and because it will be discounted for registry completion), but I don't think they correctly added it because it doesn't show up. Pretty though, huh? We also bought a glider and ottoman, but that has nothing to do with this post so I won't post it. Anyway, back to business. So my question to you, dear readers and fellow Mommies (and even those of you who are not Mommies but have input! ): do I need this extra dresser? 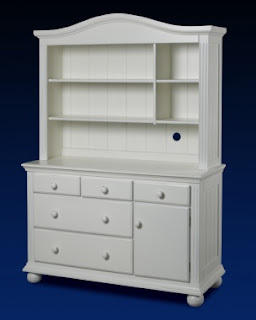 An alternative to this dresser that we have discussed is getting a tall book shelf, which could be used to house not only books but also organizing baskets for whatever we need. In addition to the tall book shelf, we could invest in a good closet organization system from somewhere like the Container Store. I THINK that option would save us some money, but we haven't priced out closet organization so I'm not sure. So, what do you think? Which of the following options should we choose? 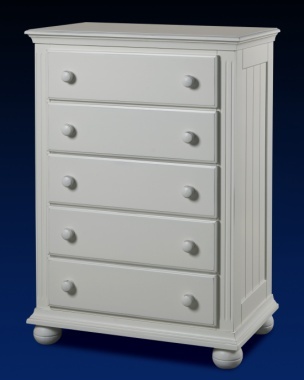 (a) Purchase the extra dresser, even though it may be the more expensive option. It will provide the extra storage we need, and it matches the other furniture, so we'll be able to use it for a longer period of time. (b) Use a tall book shelf with organizing baskets and invest in a closet organization system. One more argument in favor of the closet organization system that I forgot to mention before, is that when I was discussing this over the weekend with some friends, one Mom said that she would choose the bookshelf/closet option because if you hang up baby's clothes, you are more likely to get more wear out of them because you can easily see everything you have hanging all in one place as opposed to everything being folded and on top of each other. A valid point that I would not have thought of. I actually really like the bookshelf idea, but can I vote for both?? Just a side note, the dresser I used for my first apartment was my brother's baby dresser. You could buy a used dresser for cheap, change the hardware, paint it a fun new color, and even sand it give it a chic distressed look. I totally vote none! I say put in a 2nd bar to hang clothes in the closet. You would be surprised how much you can fit on 2 racks and the dresser you already bought. Baby clothes are small (which you will realize when you start to fold a basket and it takes a hour!). You only want to have what size she is wearing in those places anyways and store the extras until she fits in them. Husbands don't pay attention to sizes! The less furniture in the room the less clutter. I also have an opinion about the paint. We painted only the wall behind the crib pink and left the others neutral so it wasn't overwhelming and the pink was like an accent wall. Just a thought. Good Luck! One thing to think about the hutch that you love. My sister had the hutch above her changing table and as Landon got bigger, it got harder to not hit his head on that and she ended up changing him on the floor most of the time. Bookshelf! Your friend was right, when clothing is hung, it is much easier to find! 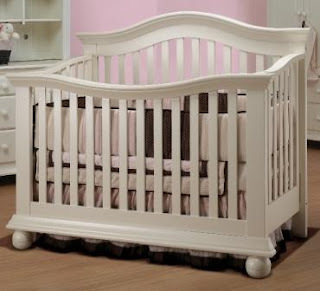 You can easily buy cute baskets for the changing table piece and put your diapers and items in those and use the drawers for clothing, blankets, etc. Believe it or not, the dollar tree actually has cute baskets. I stocked up for Whitaker and use them for toys, laundry, diapers and such. Plus they grow out of things so fast that all those drawers will just hide clothing that is too small. Thus making it quite frustrating when you have a baby that doesn't want to get dressed and you force something over their head only to find out that it is too small. Less drawer space makes you stay on top on those things! (well at least it does for me) Whitaker can now crawl to his bookshelf and take books off the shelf too. It is quite cute! We are so excited for yall! Good luck! Dresser, because it will cost Dan more money. I think you know my vote-b!